On March 11, 1865, the Civil War was in its final weeks when a strong 60,000-man force, under the command of Union General William T. Sherman, marched in through the Carolinas, capturing town after town. 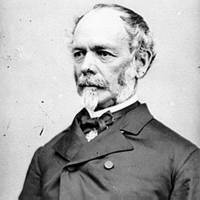 They overcame the Confederate soldiers led by General Joseph E. Johnston. The Union Army captured and destroyed the Confederate arsenal, a building where weapons were made and stored, in Fayetteville, North Carolina.